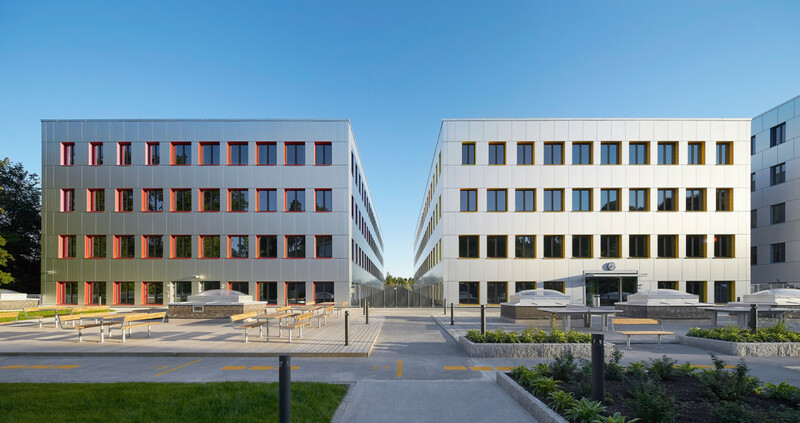 The Breast Diagnostic Centre (BDS) for the Oslo University Hospital is one of the separate tenant projects located at the OCCI (Oslo Cancer Cluster Innovation Park). The centre is a service that focuses on the public. 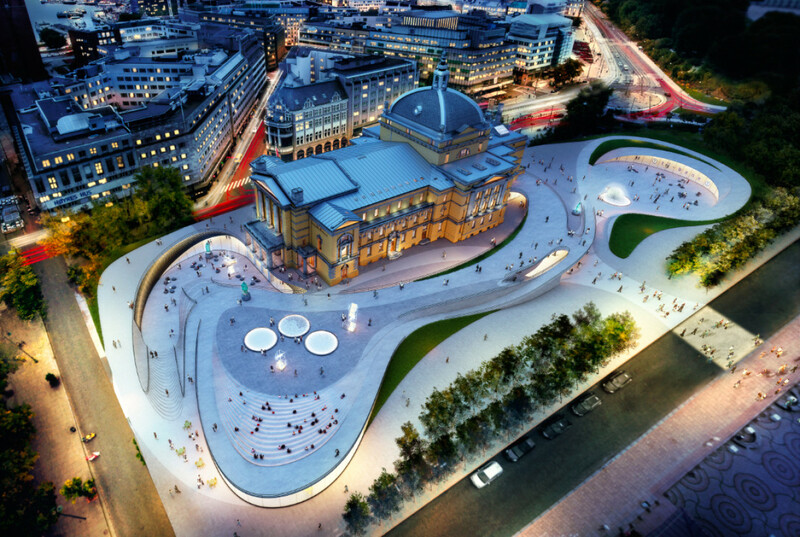 It occupies just over 700m2 on the 3rd floor in the middle section of the building. 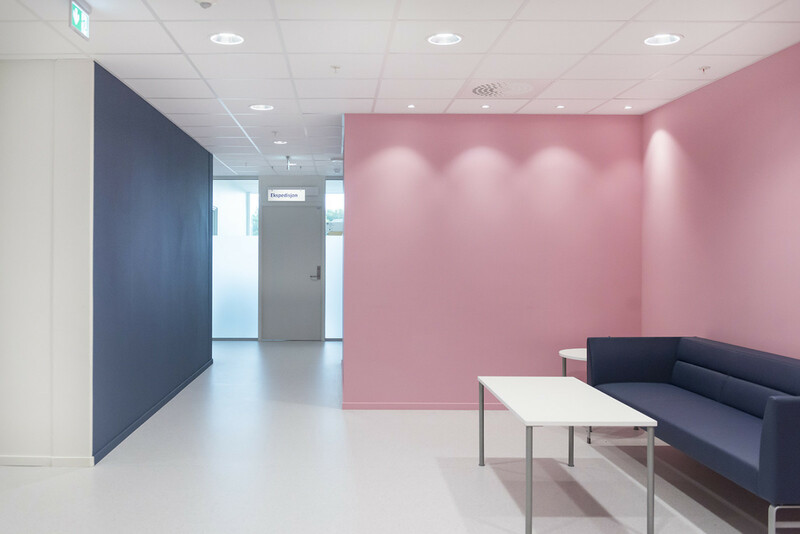 It was opened for patients in August 2017, and it unifies the breast diagnostic services from two different hospitals into one entity. 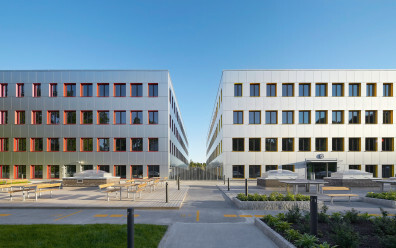 BDS has its own entrance from the pedestrian zone in front of the building complex, and is logistically separate from the school. 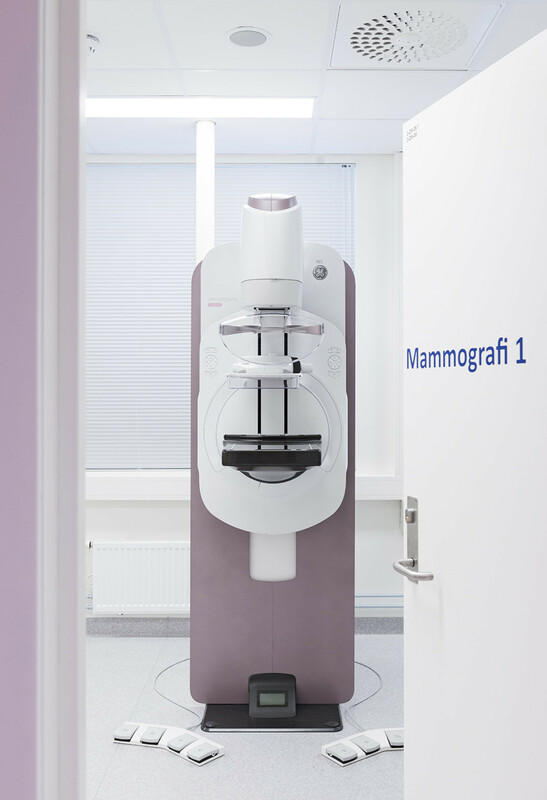 BDS is a centre for mammography and ultrasound diagnostics for patients who need further analyses after an initial medical breast examination. This indicates that the patients are in a potentially distressing situation. 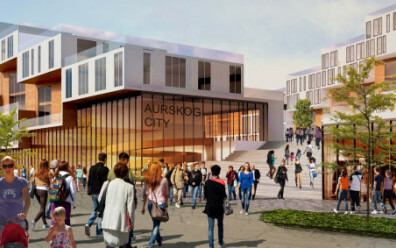 As a result of the demanding program requirements in conjunction with limited floor area, the layout called for a 30 meter long corridor with few glimpses of daylight. This was converted into a colourful spectrometer that changes its character kinetically according to where you stand. 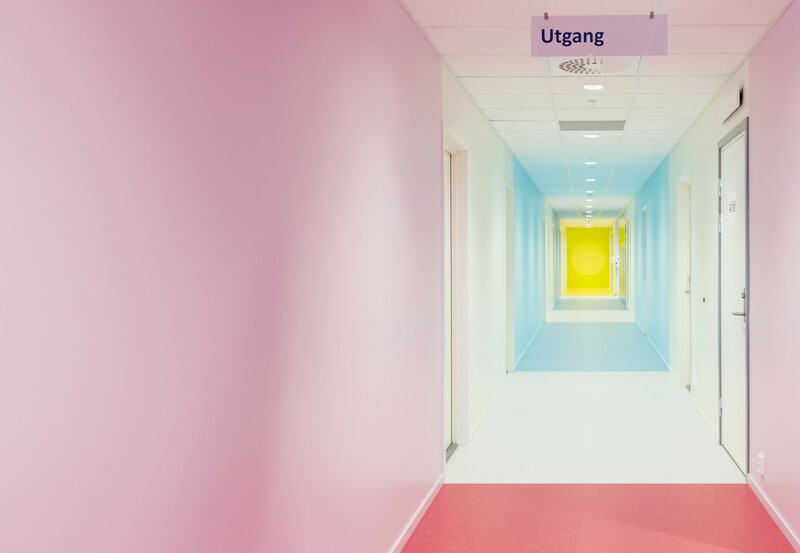 This intervention helps visitors to orient themselves between departments while fostering a positive, reassuring experience. Many of the visitors to the centre are experiencing a distressing situation. The interiors at BDS are made to foster a positive, reassuring experience. 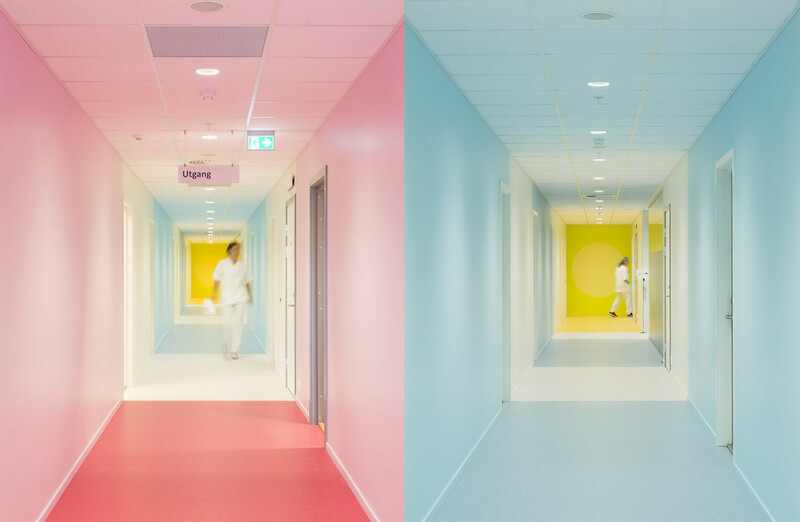 The colour scheme was carefully selected to communicate empathy and promote a feeling of trust in science and medicine. 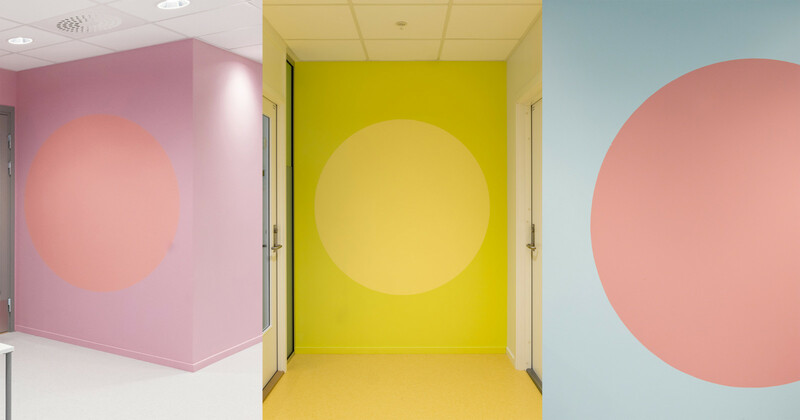 The working title for the colour concept was ‘Light at the end of the tunnel’, serving as a metaphor for the hope the centre provides. The colours work to fight sensory deprivation in an already distressing situation. 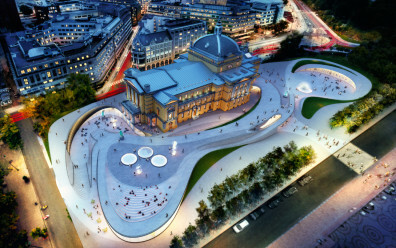 The color scheme makes it easier for visitors to orient themselves in the centre. They have a soothing effect for the patients while bringing joy to the daily working environment of the hospital staff. 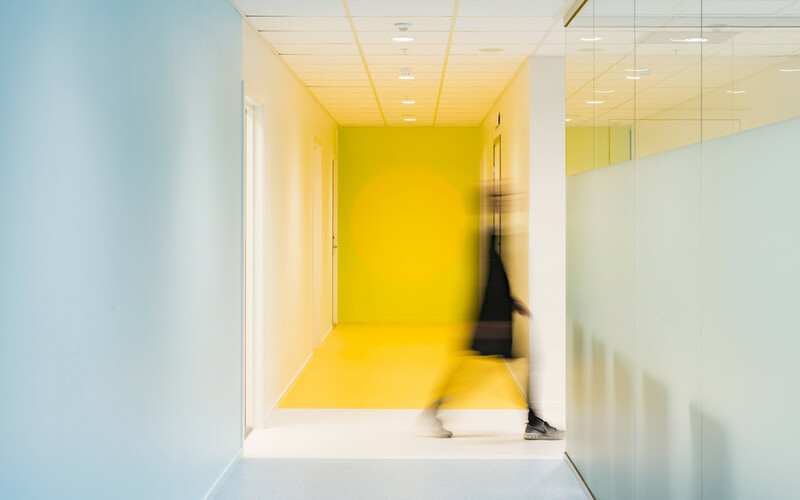 The colour scheme for BDS is a part of the colour concept for the whole OCCI building, and it consists of the primary colours red, blue and yellow in different tones. 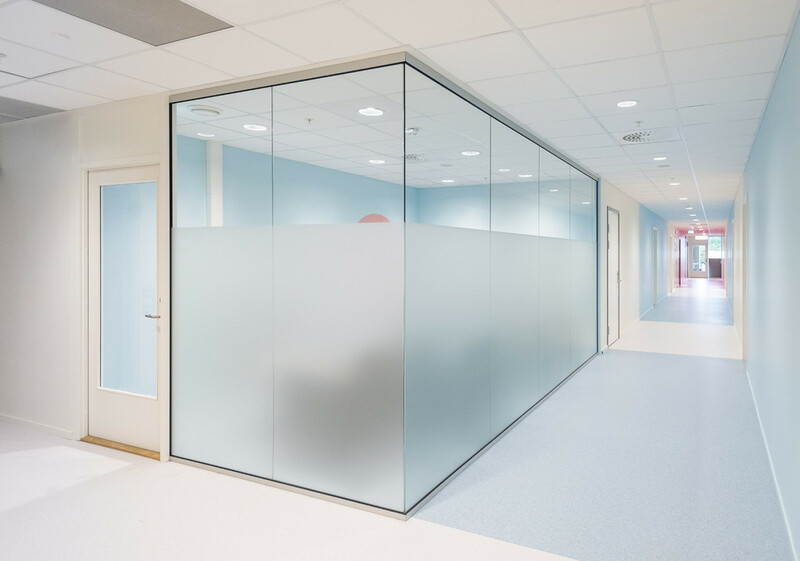 These colours can be found throughout the whole building, but at BDS the tones are particularly immaterial, airy and light. The centre unifies the breast diagnostic services from two different hospitals into one entity. 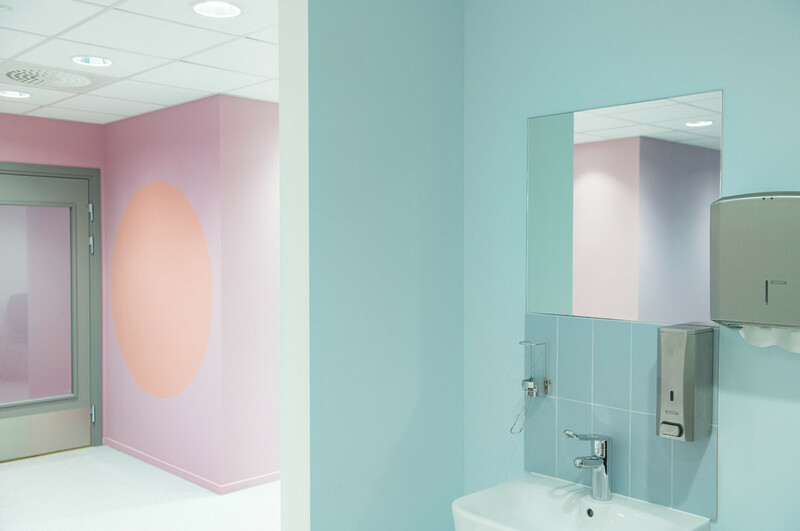 The color scheme is a recurring concept at OCCI, but at the breast diagnostic centre, the tones are immaterial, airy and light.